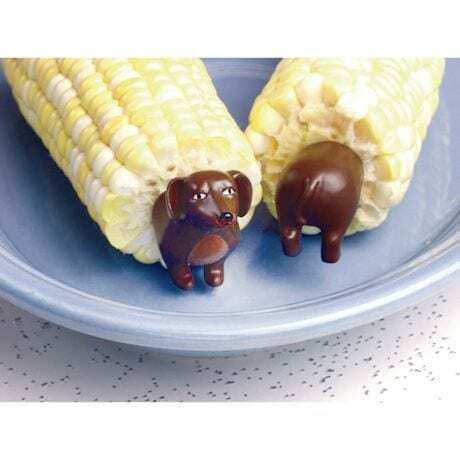 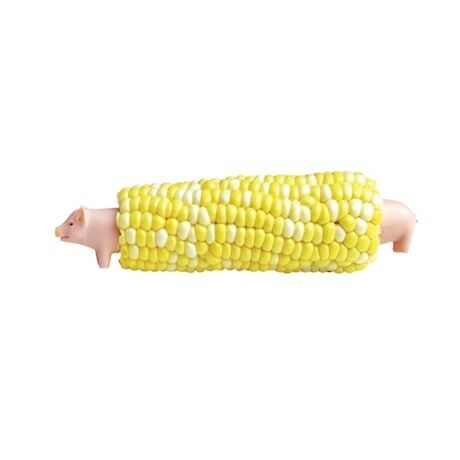 Tear into that deliciously salted-and-buttered ear of corn with an extra-wide grin on your face, thanks to the animal buddies keeping your fingertips clean. 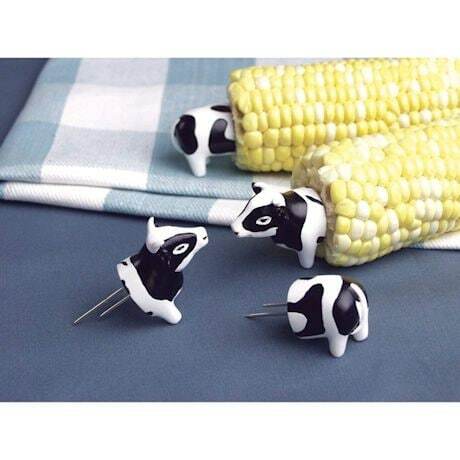 Sharp, stainless-steel prongs extend from crafted resin animal snouts and nether-regions, adding an extra-fun touch to your backyard BBQ. 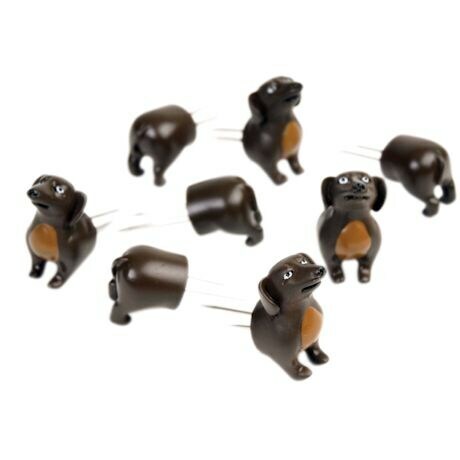 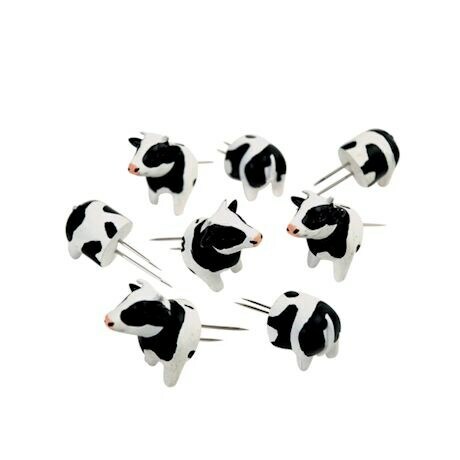 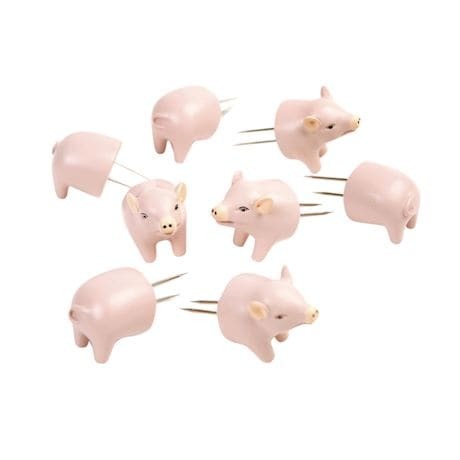 Choose Cow, Pig or Dog, each in a set of four.